Living... in the sun, chest exposed, in Los Angeles, California. Mitch loves being close to the water, so even though his personal life is forever in flux, he’s living his dream life. Profession... Lieutenant lifeguard. For some, lifeguarding is a summer job to make enough cash for beer runs when you get to college. But for Mitch, it’s a calling. His father hoped he would take up the family business of architecture, but the beach called out to Mitch and he couldn’t refuse her call. Relationship Status... divorced and dating, but never tied down. His wife Gayle left him after realizing he cared more about lifeguarding than he did about her. The two had a son, Hobie, whose custody is a constant source of tension between the two. Challenge... keeping the beach safe. Dangers lurk around every corner, and hurtle towards the beach with each coming wave. His time as a Navy SEAL has prepared him for a job that requires him to thwart terrorist attacks, defuse bombs, defeat schools of sharks and deal with the fallout of huge earthquakes. He’s more than up for the challenge. Personality... a brave, strong, caring leader of men and women in skimpy bathing suits. He has a deep compassion for the people who visit his beach and risks his life almost daily to save them. His time in the armed forces has made him exceptional at dishing out commands to his lifeguards when he needs help. 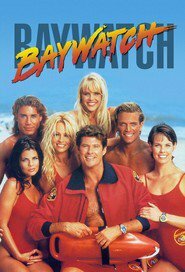 Mitch Buchannon's popularity ranking on CharacTour is #4988 out of 5,000+ characters. See our top-ranked characters and read their profiles.